Do you need high speed wireless internet for a convention or other temporary need in Nipton, California? LV.Net has been providing the best in internet service for over 16 years. Our wireless microwave network features an extensive coverage area. 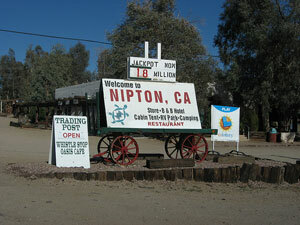 We provide high speed wireless internet to a number of areas near Nevada, including Nipton, California. Microwave internet from LV.Net is the number one choice for high speed wireless internet and Wifi in Nipton. Our microwave network is top tier. LV.Net’s high speed wireless microwave internet broadcasts microwave radio transmissions through a series of relays. Relays are located throughout Nevada and in some parts of surrounding states. Wireless transmissions travel in a line of sight path at close to the speed of light. Distances between relays stretch for miles. There are no concerns about the condition or current maintenance of a fiber cable that could potentially impact network performance over distances that signals traverse by wireless transmission. Our wireless microwave network provides internet speeds of up to 1 Gbps. LV.Net’s technicians ensure that our high speed wireless internet stays up and running regardless of the weather or environment. Our technical support personnel are well trained and experienced. They are able to assist with any concern or issue involving network access or performance. Technicians are available at all hours of day, every day of the year. Access to fiber optic cable is not required in order to install a microwave internet connection. LV.Net is able to serve areas with high speed microwave internet where installation of fiber optic cable is either not efficient or otherwise does not justify the installation cost. LV.Net is able to install microwave internet is almost every type of building or location. This includes office complexes, multi-story office structures, hotels, motels, residences, as well as vacant parcels of land, RV parks, campgrounds, golf courses, recreational areas, and remote places. We are able to serve almost any area where access to fiber optic cable is not readily available. LV.Net’s high speed wireless microwave network has unmatched flexibility and redundancy. It is designed for 99.999% uptime. Licensed carrier-grade radios are used on all major backbone points. OSPF protocol with multiple links to each radio tower and mesh topology are used for fail over. The microwave network has a redundant power design. Equipment is standardized and stored in a cold spare state in the event of equipment failure or if LV.Net management determines that duplicate equipment should be used. LV.Net is a full scale internet service provider. We can install fully secure point to point business networks with bandwidth speeds of up to 1 Gpbs. Our facilities also offer colocation hosting and use of data centers located in our facilities in Las Vegas. We provide cloud computing options that offer the potential to benefit from economies of scale from the remote use of servers and IT staff that are located on LV.Net premises. Remote use of servers and staff services that are located on LV.Net premises can increase the quality of services and equipment used in some cases where the quality of our facilities, equipment, and/or staff services are greater than what would otherwise be maintained and used at the same or similar price. Call LV.Net today at 702.900.0000 to get a quote or to discuss the internet services we can provide in Nipton. We look forward to speaking with you. Have a convention or in need of temporary High Speed Internet 1Mbps to 1000Mbps in Nipton, CA call us now 702.900.0000 for a quote or email us.